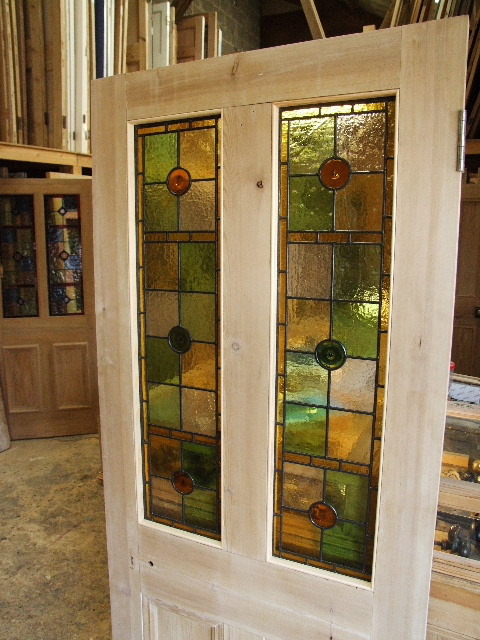 Victorian Stained Glass Front Door With handspun amber and olive rondels. The background colours are made from hand floated glass incorporating traditional victorian pastel shades of ambers and greens. ready to accept new locks. The stained glass panels are in perfect condition .